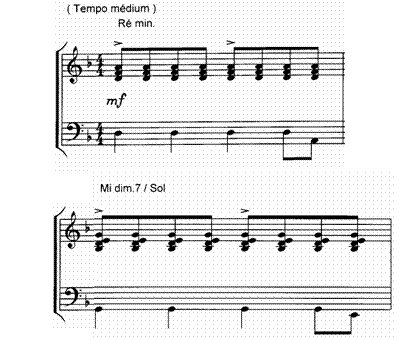 the accompaniment uses the 2 hands. the chords are perfect triads and dominant 7th chords only. 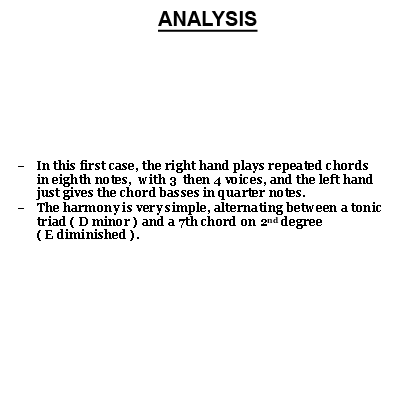 the left hand gives the roots of the chords only. the harmony goes from the D minor tonic to the 3rd degree "F".